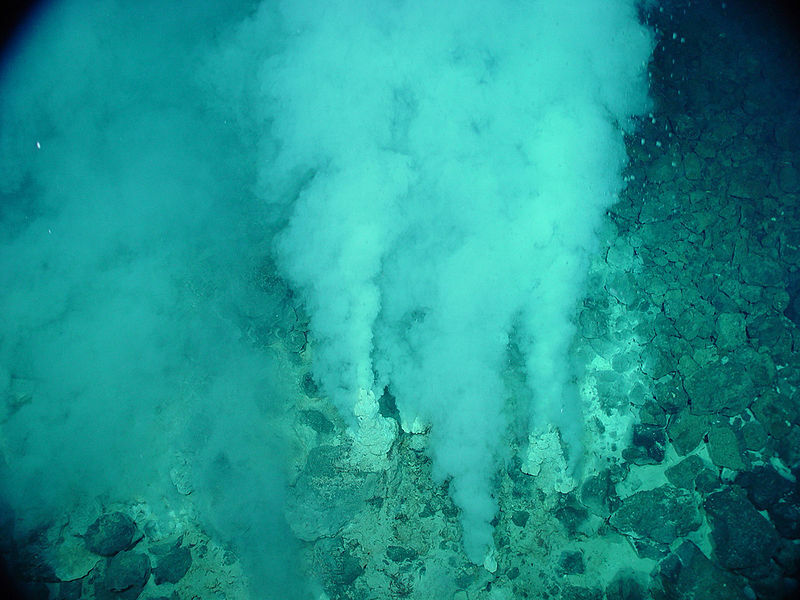 Hydrothermal vents can only occur where there is volcanic activity. Cracks that form in the sea floor allow water to flow through the ocean crust, where it is heated by nearby magma chambers. Water can reach temperatures of up to 400°C where it dissolves metals and salts as it travels through the rocks. It then travels back into the ocean via hydrothermal vents. Today, scientists have discovered hundreds of hydrothermal vents around the world however they were only first discovered in 1977 by a team working off the coast of Galapagos. The discovery revolutionised scientific thinking on how and where life could exist. The exploration of the hydrothermal vents along the Galapagos Ridge has lead to dozens of new and intriguing creatures being described. Scientists today are still exploring deep sea vents, trying to answer the many unanswered questions around these unique ecosystems. The environment around these vents is extremely hostile as there is often no light. 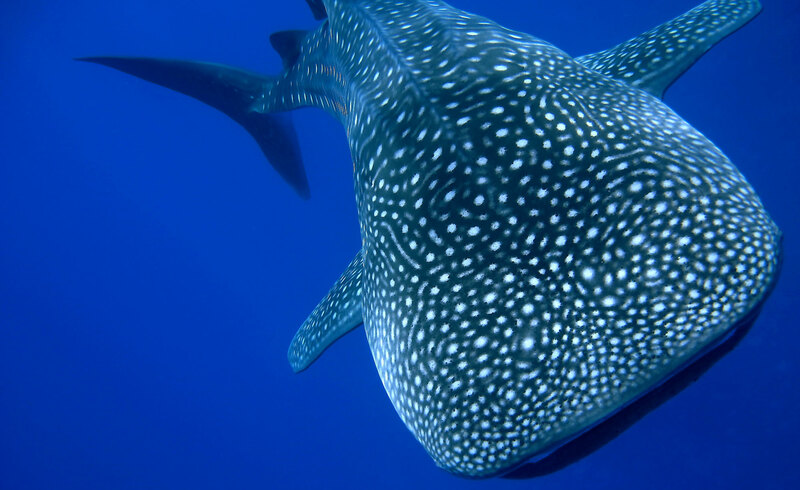 There is also a lot of pressure because it is deep below the ocean surface and the vent plumes can include a lot of toxic chemicals including hydrogen sulphide which is poisonous to many animals. 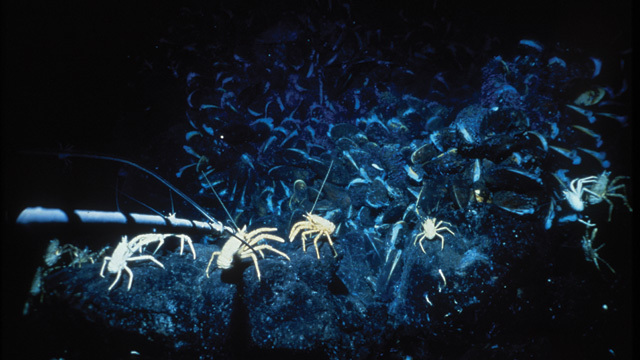 However, vents still manage to host an assortment of different creatures including tube worms and crabs which thrive in this environment. A new type of bacteria has been discovered which uses the toxic gas as an energy source, and in turn this bacteria acts as a food source for crabs, clams and tube worms.